Medical research is continuously underway and the results enable researchers to further understand the complexities of pathogens and develop effective new vaccinations. While many individuals can participate in clinical trials as volunteers, the qualifications needed to work as a clinical researcher are, understandably, much more extensive. What is a clinical researcher? Clinical researchers are responsible for conducting clinical trials, recruiting and screening patients, maintaining patient care and submitting findings upon completion of the trial. Throughout the trial, they must ensure ethical and proper clinical practice, following and enforcing strict rules and regulations. Within these branches, there are a variety of positions. Those in the clinical research field can work in universities, hospitals, pharmaceutical companies or government positions. They can work with data in an office environment, administer trial drugs and therapies alongside patients or instruct physicians, residents and technicians about proper clinical procedures. Two roles that are essential (and can work as stepping stones to further a career in clinical research) are the Clinical Trial Assistant (CTA) and Clinical Research Coordinator (CRC) positions. The CTA typically works in an office-based environment, where they track and file trial protocols and case reports, coordinate meetings and help with managing timelines and budgets; the CRC typically recruits patients, works at the research site, prepares the case report forms and manages data. 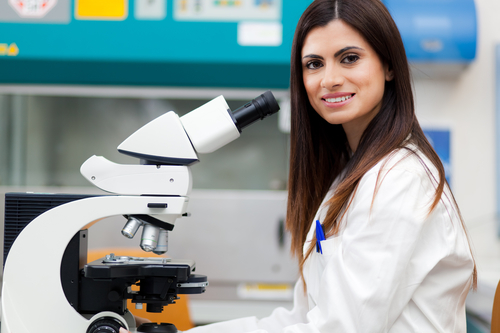 A career in clinical research typically begins during undergraduate studies, with a four-year bachelor’s degree in a field related to biology, mathematics or physics. A strong academic record is important, as medical and doctoral programs are quite competitive. Depending on which path you decide to take after exposure to the field in your undergraduate studies, you may then go on to pursue a master’s degree, or even an M.D. or a Ph.D. Relevant degree fields include biological sciences or medicine—biochemistry, cellular and molecular biology, microbiology, neuroscience, M.D. or nursing. Some universities also offer master’s degrees specifically in clinical research. If you complete all of the required education, licensure is not required. However, there is an optional certification available from the Association of Clinical Research Professionals. Internships will likely be required, which can lead to an entry-level position as a clinical research associate (CTA or CRC). According to Study.com, key skills of a clinical researcher include the ability to use analytical, scientific, database user interface and graphics software, extensive knowledge of other electronic equipment as well as centrifuges, laboratory flasks, petri plates, etc. While there is a lot of variety within the field, you must also have an eye for detail, appreciate strict guidelines, be well organized, enjoy solitary work and potentially spend a lot of time traveling, as stated by ClinicalResearchAssociated.com. At OCRC, we offer a variety of clinical trials and research studies that are open for participation, in our state-of-the-art clinical research facility. If you are interested in volunteering, please tell us a little more about yourself in the Current studies section of the home page and we will contact you to determine your eligibility for current and future studies.